There are few things more exciting to aspiring entrepreneurs than opening a new business. If you count yourself in that group, you may already have an idea of what you want the business to be. 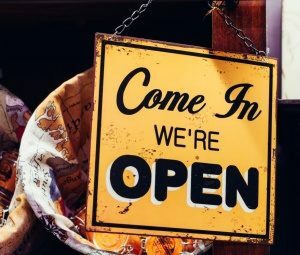 The basic idea is just the beginning, though, as there is a lot of work that has to be done before you can open your doors and start inviting customers in. Oftentimes, the idea for the Coolum business is the easiest part, with all the stuff that comes afterwards getting progressively more difficult and frustrating. This is where a good accountant can come in and help you with your business development & accountancy needs. One of the first things that your business accountant Coolum will need to help you with is registering your business name. What many new owners don’t realise is that there is another step to this particular process, and that is applying for an Australian business number (ABN). While this ABN step is not something that you have to do, you will find that your Sunshine Coast accounting company will likely recommend that you so take this step. As you can see, many of the benefits that you get are in the area of business taxes, which can be another difficult area to navigate without professional help. This is why Accounting and Tax Solutions Sunshine Coast, who offer tax and business accounting Coolum, are the perfect choice for all of your business development needs. They have been in the business of helping others achieve their goals and dreams for many years, and are well aware of all the ins and outs of getting a new business off the ground as smoothly and quickly as possible. They can also offer accountancy advice on what you need to do once your business has opened its doors and is accepting customers. They can offer advice on payroll issues, taxation, financial statements, and how to effectively manage all of your business and personal assets. What you need to know when you choose Accounting and Tax Solutions Sunshine Coast as your accounting Sunshine Coast specialists is that they are willing to help, no matter the size of your business. You can be opening a small shop or a chain of stores across the region, it simply doesn’t matter. They have the experience and knowledge that you need to get your enterprise off the ground and making money as quickly as possible. Accounting and Tax Solutions Sunshine Coast are more than happy to take the time to sit with you and discuss how they can help get you on the road to all of your business dreams. This entry was posted in Accountant, Coolum, Sunshine Coast and tagged accounting, bas, gst, tax. Bookmark the permalink.